Founded in February 2011 by Arief Wibowo, Salease Property is a real estate agency that strives to be a company that is different than others in the property market. Having a team that is personalised, passionate and professional allows us to serve our client's best interests. Not only these, the company itself is constantly adapting to the needs and wants of both markets and clients through continuous integration and education with modern developments. Arief Wibowo is the founder of Salease Property. Born and raised in Jakarta, Indonesia, Arief came to Sydney in year 1999 to study. He graduated from the University of Technology Sydney (UTS) with degree Bachelor of Business majoring in Accounting and International Business. His interest in real estate and property investment existed long before he became an agent. It was when his first property that he was lived in was sold with big profit within a short 6 months. Since then, lots of his friends consult and brainstorm with him for their decision making relating to home purchase and investment. Arief started dedicating his time fully in real estate in early 2010. He started by working as a sales consultant until he finally decided to open up Salease Property in February 2011. Since then, Arief has successfully built his team and network. He also has guided lots of his clientele in taking their first home, followed by first investment property and its subsequent ones. Arief always tries to provide personalized service and listen to his clients' budgets and requirements before he recommends any product. He ensures that his clients are happy with their purchase, which subsequently resulted in continued word of mouths and referrals for Arief. Some attributes that his clients describe for Arief are: honest, efficient, passionate, and acting with integrity. It is a great pleasure for us that our property in Ryde has been managed by Salease since day-1 of our property ownership. 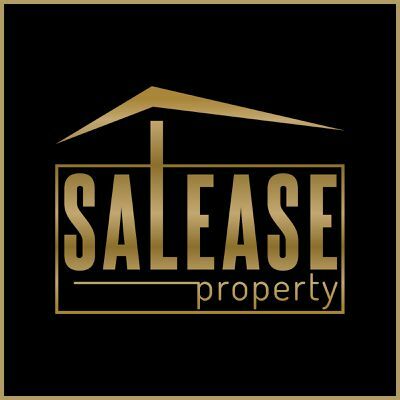 Salease has managed the leasing period very well by maintaining the tenancy occupancy. That provided us -as the landlord- a peace in mind while renting out our property. Salease also provided us supportive advice during this period which assist us to make the important decision about tenancy. A very big thank you, particular for Phillip and Devi, and also all of Salease team for their proactive support and maintaining regular communication during this phase. During sales period, Salease team has also demonstrated their capability to assist us in selling the property. Despite It was a tough market situation recently, Salease has demonstrated their expertise to reach out any potential buyer for our property. A big thank you for Sylvia and Arief and all Salease team member who keep assisting us with any support until the property sold out into the market again. We are very happy with all support provided by Salease team. We wish all the best for Salease. I just wanted to put in a some feedback for one of your agents, Phil. After selling our house last year, we've decided to rent for a little while and love where we are now at Top Ryde. The only way I can say this is, I have never come across a rental agent as good as him. Not even close. Genuine, hard working, great personality and seems to balance owner and tenant demands perfectly. We're very lucky to have him as an agent and hopefully you realise how lucky you are to have him on your team. Couldn't speak highly enough of him!! I would like to thank Monica Dwika for being such an excellent real estate agent and I highly recommend her to anyone who is looking to buy an off the plan property whether it be for their first home or an investment property. Monica went above and beyond by arranging meetings time which best suited myself which was often after works hours and also offered extra services such as surveying the sites. She always has the customer best interest in mind. She has been very patient with me and has assisted greatly in helping build my property portfolio. What makes her stand out from the other agents, would be the genuine care she has for her clients and her ability to provide updates on the progress of the off the plan purchase. Testimonial for Jeremy Tran First of all I would like to thanks for your tremendous support me in purchasing my first property in Campsie. With the prompt responses to all my enquiries , you went beyond to not only meet my expectations but also provided the best customer services I could ever asked for . I am really appreciated all of your hard works and supports and I do strongly recommended you to all of my friends and family members in the future. In the meantime , I wish you and your company many success in the future! Dear Jeremy, we would like to thank you for your excellent service and effort toward the purchase of our first property over the past 3 months. Your abilities to listen, to understand our circumstance and guide us through the roughness in our deal with the vendor have lead us to the success of buying my very first dream home. You had given us the greatest assistance that we have in all aspects and stages of the purchase. Your genuine and service went beyond our expectation. We are very pleased and appreciate all of your thoughtful, honest and extremely helpful advices. We believe your professionalism and enthusiasm will bring you more success in the future. Should the opportunity arise, we would not hesitate to recommend you to anyone considering buying and selling their property. It has been an absolute pleasure dealing with Ratna and Arief at Salease. The main thing that sets them apart from other property agents is that when they suggest properties for us to consider, we know that they have our best interests at heart. Knowing this is huge for any client and hence we trust Ratna and Arief completely. All the investments we have made through Salease has been without seeing the actual property or even visiting the site/ area. This is because of the trust we have in Ratna and Arief and we would not do the same with any other property agent. Ratna and Arief are not interested in just making a sale but they want to make sure it is the best decision for the customer. Recently, when one of the properties completed construction, we visited the property and were very pleased with their recommendation. Our decision to go with their recommendation has ensured that we have purchased a property in a location that is up-and-coming and has great potential. The property itself is built by a reputed builder with quality inclusions and we are very pleased with the purchase. The other main differentiator is their outstanding after sales service. We have asked for guidance in many matters post the purchase and have always received prompt and quality advice that we know we can trust. Furthermore, they continue to look after their clients even after the sale. For example, when the builder delayed construction, Arief negotiated with the builder and ensured that a rebate was offered by the builder to compensate for the delay. We would highly recommend Arief, Ratna and Salease and we personally will continue to deal with them for our future investments too. We've known Arief for years. When we found out that he opened a real estate business, we decided straight away that we would use his service and we never regret it as he never disappoint us. He's very professional and provide us with extremely satisfying customer service even willing to go miles at times to help tending our queries and request. We would always happy to recommend him to all friends and families. ... It was a quick sale and met all my expectations. Everything goes to Arief's credit. He is an efficient, honest agent and it was a pleasure dealing with him. Kami tertarik membeli sebuah off-plan property di Sydney atas saran and informasi dari Salease Property. Dan ternyata setelah property itu siap, kami hanya membutuhkan waktu 2 minggu untuk mendapatkan penyewa yang baik dengan harga yang bagus pula. Bahkan saat ini kami telah membeli property yang kedua melalui Salease Property. Sejauh ini kami merasa nyaman dan puas terhadap pelayanan dan profesionalisme yang diberikan oleh Salease Property. Kami mengucapkan banyak terima kasih dan semoga semakin sukses di masa yang akan datang. Salease Property is currently looking for candidates that love real estate, especially selling existing residential property and have a great passion in the North Shore area. Multiple positions are availablewith flexible remuneration systemincluding Base + Commission, Debit Credit or Commission only for the right candidate. At least 3 years of sales experience in the existing residential market. Real estate licenseor certificate of registration. Excellent communication skills, speaking other language is advantage but not necessary. Have a sound knowledge of the North Shore area. You will be offered continual on-going training and support. A unique structure that encourages all agents to work together to achieve the best outcome for our clients. You will have exclusive rights to manage and sell your own listings. Join our friendly team and run 'your business' within our business. Opportunity to sell Off the plan apartments and House and land packages as well. Your hard work will be well remunerated with incentives in place to achieve above your targets. We are currently looking for an experienced sales agents who is highly professional and possess desired skills. Our team consists of friendly people with good interpersonal skills and expects to have positive teamwork effect. Our sales consultant are equipped with online softwares which will highly assist you to access numerous projects in your own time. We also have access to more than 150 new projects in major Australian cities. Please contact us for more job details through email or phone. 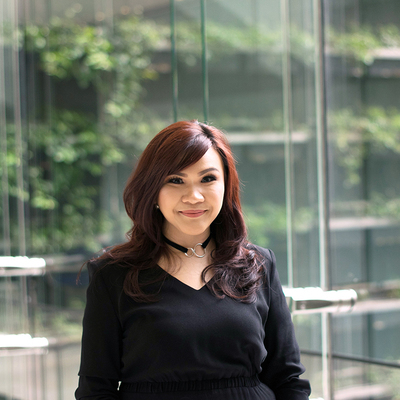 Prior to joining SALEASE Property, Ratna has over 7 years of experience in custodial and financial services, leading a Risk Management and Reconciliation team. Accuracy and tremendous attention to detail were paramount to Ratna's day to day operation, which she subsequently applies to her role as Head of Property Management and Head of Sales Support at SALEASE Property. 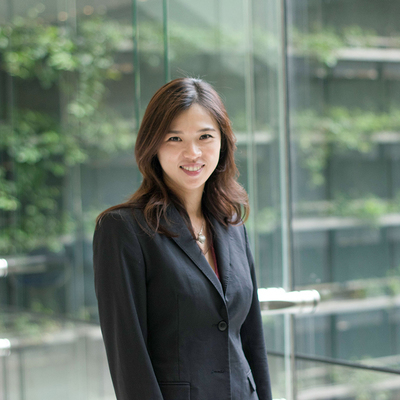 Ratna is a graduate of University of Technology Sydney (UTS) with majors in accounting and international business. 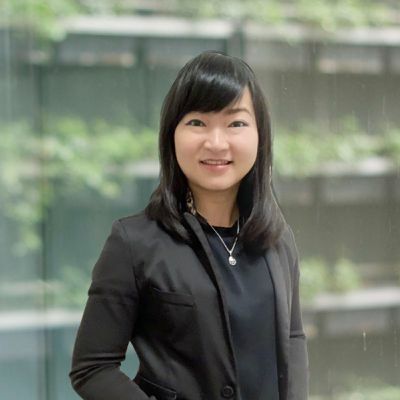 She is currently furthering her study in Property Services to understand the latest trends that affect real estate, the industry's legislation and ensure adherence, which in turns minimize risk to the agency's operation. Ratna has strong people management skills and ability to build lasting relationship. These are displayed through her due diligence during tenant selection process, as well as smooth interaction with tenants, clients and developers. She understands her clients' needs and source the most effective and efficient ways to deliver above their expectations. Finding the right home could be a difficult task and an exciting thing at the same time. Customer focus in finding what the client’s need and building the trust are the fundamental keys in Sylvia's outstanding service. Sylvia graduated from University of Technology Sydney with Accounting and Finance degree then she continues her career in finance industry. She is always passionate about investing and finding ways to develop her wealth. 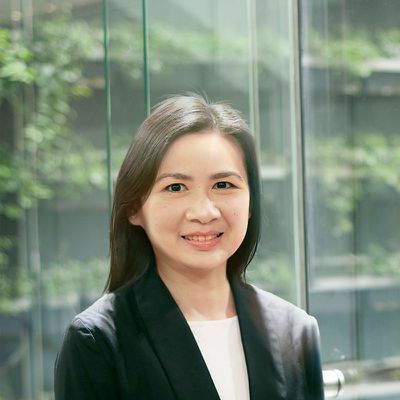 Combined with her personal experience buying and selling her own properties, she has solid knowledge in helping her client finding the right property. Sylvia is an excellent communicator who can relate with people from all different background or levels. Honest, professional and knowledgeable are her philosophy of life that shown in her strong and success sales carrier. Her motto is to help other people in their property portfolio journey, acting with full integrity and exceeding client's expectation through excellent customer service. 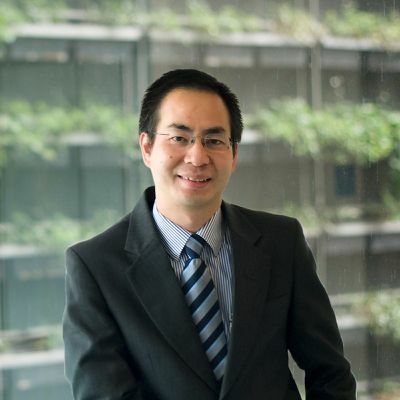 Graduated from UNSW with a degree in Information System, Andre started out his career in the financial services industry in 2003. 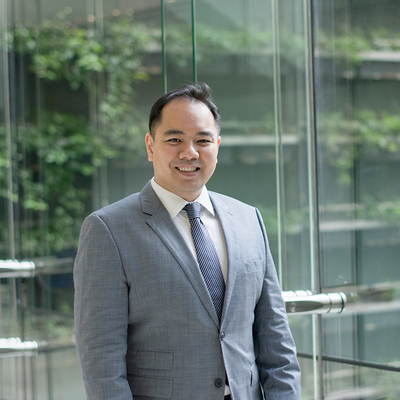 Andre developed a keen interest in the real estate market when he went through a sequence of challenges when purchasing his first property and subsequent investment properties. Thus, he joins the industry with an aim to create a pleasant experience for first home buyers or would be investors. 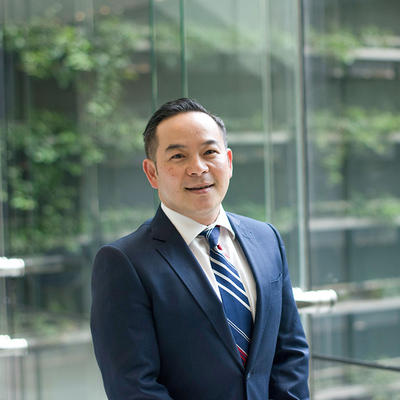 Renaldi is a graduate of UNSW commerce with a wealth knowledge in accounting and finance, but his true passion is and always has been real estate. Since joining Salease Property in 2011, Renaldi has prides himself in his passionate and heartfelt drive to serve his clients best interest. He is dedicated, knowledgeable and committed to finding the perfect fit, whether apartment or home, for his clientele. Moreover, he works closely with his clients to identify the best options, not the most, in order to streamline their search process. With a background in client services at a well known American company, Renaldi possesses a keen ability to listen and responds to client needs.When not selling real estate, Renaldi can be found playing golf, basketball and enjoying the beaches of Sydney. Contact Renaldi now for all your property needs. Career driven and with a passion for real estate, Aldo was attracted to Salease's prestigious reputation and its strong market presence. The dynamic corporate culture and core values of Salease are closely aligned with Aldo's own professional belief that excellent service should never be compromised. His success is based on the premise that honesty, personal attention, enthusiasm, competency and reliability will yield excellent results for each and every customer. An accomplished individual in his own right, Aldo has attained Master of Commerce and recently completed a Diploma of Finance & Mortgage Broking. He is also a CPA qualified with a previous 6 years of experience in the banking sector and he appreciates the financial aspects of buying and selling real estate. He understands the individual needs of sellers and buyers and is able to work with them to structure a plan to fit their lifestyle. Aldo is a dedicated professional with a commitment to excellence and he takes seriously his responsibility for providing clients with the best possible advice. He knows how to visualise the true value and potential of a property whether it's the family home or part of an investment portfolio. Call Aldo today to benefit from the services of a direct, honest and hardworking agent with an intricate understanding of Sydney, Melbourne, & Brisbane property market. Ronny has sound knowledge of both the ‘Live in’ and ‘Investing’ property markets. He is a highly motivated and enthusiastic property consultant who is able to deal with any query as they arise. As a true professional, he will not only oversee the owning and investing of a portfolio of properties but also make a significant contribution to the overall opportunity results. Ronny’s key skills include being able to multitask without compromising service standards and delivering only the best in client service by ensuring that every value client interaction is an enjoyable one. Please do not hesitate to contact me anytime. An industrial automation engineer who previously never thought he would get hooked up to property investment, Dennis joins Salease property after experiencing first hand genuine working relationship with Salease team. His first experience in property investment is self taught, based on persistence, doing his due diligent and rigorous analysis on the market. Since then, he cannot stop looking at real estate website and property investment forum, doing his personal research, one suburb a day across all different states. Being an engineer helps him to grow as an individual who is analytical and thorough in every aspect. One of his strength attained from his engineering experience is troubleshooting skills to get the job done. This reflects in his work ethics whereby he has the habit to firstly understand his clients’ investment criteria, financial situation, goals and lifestyle before providing professional advice. Based on his clients’ personal requirement, he tailors the specific investment approach and modifies it accordingly to any changes. A family man who strives to teach his own children the value of honesty, trust and appreciation, Dennis is an individual who walk his own talk. He is direct and always upfront in his approach. As an investor himself, he wants to know every detail, positive and negative, to make decision on investment with correctly calculated risk. He believes that genuine service that goes above and beyond is vital to achieve success in real estate. Therefore, he always treats his clients as friends, ensuring that his advice is always on their best interest by analysing every options and every risks involved. On a more personal level, Dennis is a chatterbox who appreciates great sense of humor. If you let him, he can talk all day. Sometimes he wonders why his son cannot stop talking. 5 minutes chat a day, keep the doctor away, so what are you waiting for? Call Dennis today to kick-start the growth of your property portfolio! 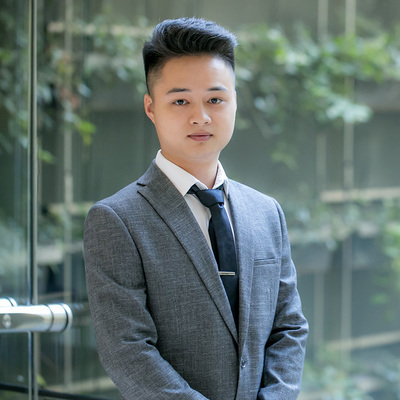 Malvin’s interest in property started at a very young age of 16 when he followed his parents during a property inspection in Sydney. 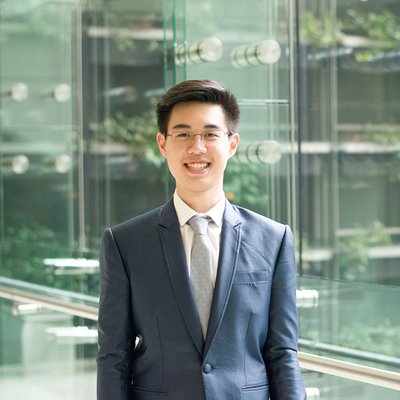 His studies in University of New South Wales in Finance and Accounting has allowed him to learn more about the benefits that can be reap from investing at a young age. He has also witnessed how the property market could grow very rapidly during 2010 to 2011 and the amount of wealth that it could bring. Since then, he believed that being indulged in investments, particularly properties, will result in growth of wealth and greater financial freedom. Always motivated and inspired, Malvin joined Salease Property to continue higher career in property investments and hoped to educate and help his clients in property investing. He aspires to become someone like Robert Kiyokasi, Donald Trump or Harry Tribugoff who became billionaire through indulging in property industry. As a man with high motivation, Malvin has always worked very hard to help his clients to overcome uncertainty, questions and problems. He believes in “do what you can do today that your future self will thank you for”. He always remembers this. It makes him a knowledgeable, patient and trustworthy man that wants his clients to remember it as well so that they can achieve their property goals in later age. Please fill the form bellow and we will be in contact with you shortly. Please forward your resume to [email protected].